The big reveal on who it is — and when the flight to the moon will be — will be announced Monday at the company's headquarters in Hawthorne, California. It's not the same mission SpaceX founder Elon Musk outlined last year. 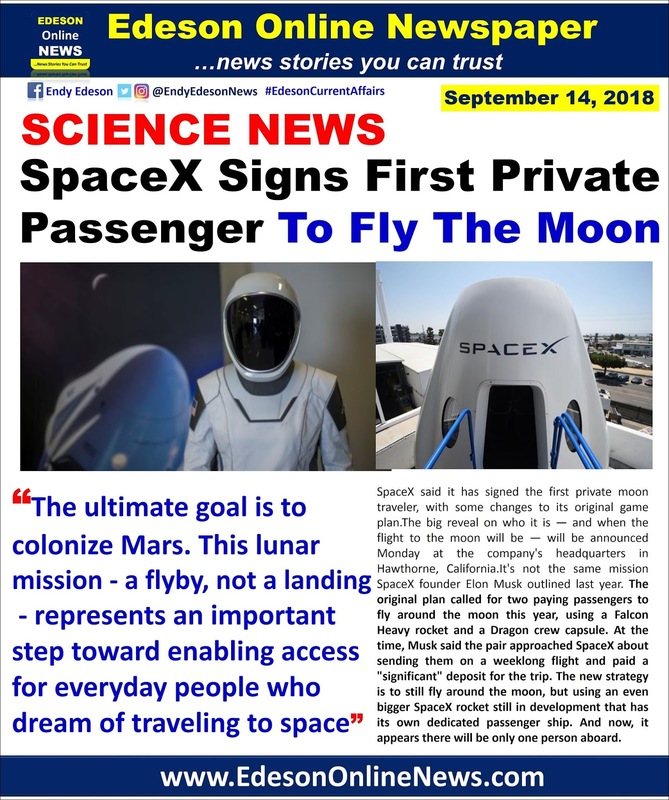 The original plan called for two paying passengers to fly around the moon this year, using a Falcon Heavy rocket and a Dragon crew capsule. Musk's ultimate goal is to colonize Mars. 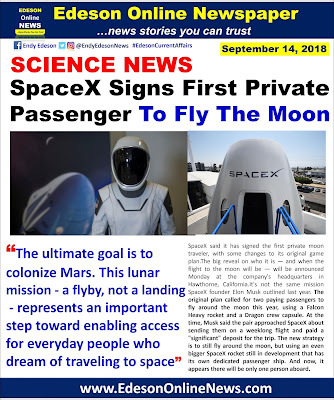 This lunar mission — a flyby, not a landing — represents "an important step toward enabling access for everyday people who dream of traveling to space," SpaceX said in a tweet.On its website, SpaceX is touting the "first passenger on lunar BFR mission," implying there will be more. It would be humanity's first lunar visit since 1972. Twenty-four NASA astronauts flew to the moon from 1968 through 1972, and only 12 of them strolled its dusty surface. Next July will mark the 50th anniversary of the first manned moon landing by Apollo 11′s Neil Armstrong and Buzz Aldrin.